We are pleased to share that we are proud recipients of a Board of Trade Award from Liam Fox last night in London. 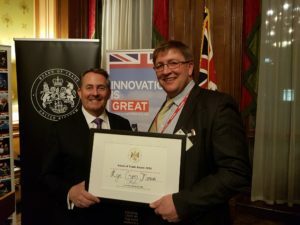 The judging panel were impressed by the way that we are championing exporting and engaging with local initiatives in the West Country, amongst other things. Our MD, Peter Alvis, was on hand to collect the award and was quick to thank everyone back at Lye Cross Farm for their efforts in making this possible. We are pleased to share that we have won 3 awards at this year’s World Cheese Awards held in Bergen, Norway. We were awarded Bronze for both our Mild Cheddar and our Mature Farmhouse Cheddar, and Silver for our Vintage Farmhouse Cheddar. This is another great set of results, and a fantastic end to this year’s competitions. 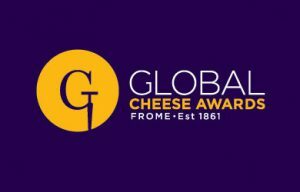 This year at the Global Cheese Awards, we received the grand total of 7 awards – a fantastic set of results, with which we are extremely pleased! 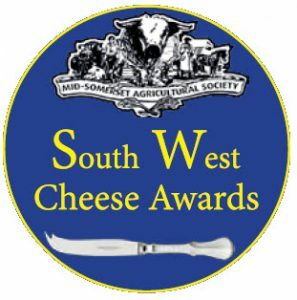 We were proud recipients of 3 awards for our entries in to the South West Cheese Awards at this year’s Mid-Somerset Show. 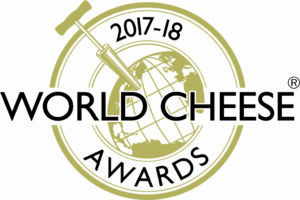 Our Lye Cross Farm PDO Cheddars were all recognised, with our Farmhouse Extra Mature Cheddar being awarded 2nd prize, and both the Farmhouse Mature Cheddar and the Farmhouse Vintage Cheddar winning 1st prize in their respective classes. 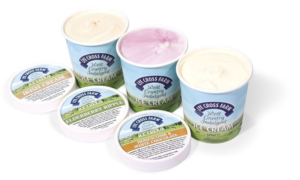 Here at Lye Cross Farm we have ventured into the world of ice cream and are excited to introduce you to the newest member of the family: Lye Cross Farm West Country Indulgent Ice Cream! Produced in the Chew Valley using rich, creamy milk from Guernsey cows, our ice cream is available in 3 luxurious flavours. Now available in our farm shop. 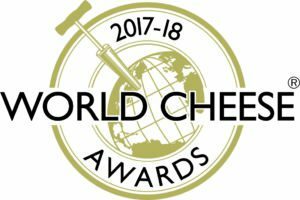 At this year’s International Cheese Awards we have been awarded 5 prizes for our PDO Farmhouse Cheddar. Our Farmhouse Mature was awarded Gold, our Farmhouse Extra Mature was awarded Silver and Bronze, and our Farmhouse Vintage was awarded Gold and Silver. This is a fantastic set of results and we are looking forward to future success for the rest of the year. For the second year running, the Lye Cross Farm Bus Café has been awarded a Tripadvisor Certificate of Excellence. Thank you to all those who left reviews after their visit, and well done to Dan for another brilliant year. If you have visited our café and would like to leave a review you can do so here. It is with great pleasure that we received the news of John Alvis being awarded an OBE in the Queen’s Birthday Honours List. 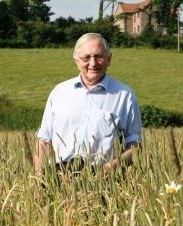 John has been recognised for services to cheese exports, farming, and rural communities. Whilst John has been very quick to thank those around him for their continued support in making this possible, we would like to use this opportunity to congratulate John and tell him how proud we all are of this achievement. 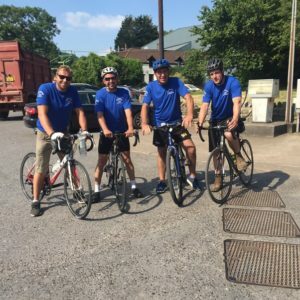 Alvis Bros Ltd are proud to share news of their involvement in GAFT 2018, a cycling relay organised by the UK Grain and Feed Trade Association, to raise money for The Farming Community Network (FCN). The FCN is a charity run by volunteers with the aIm of supporting farmers and their families through times of difficulty, whether it be financial difficulties, animal disease, mental health or family disputes. Over 6,000 people per year benefit from the support that the FCN and its network of 400 volunteers can offer. 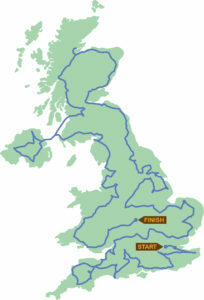 Taking place from 19th June through to 31st July, the relay will see representatives from 70 companies taking part. Team Alvis took part on the 28th June, and cycled the 21 miles from Lye Cross Farm to Redstock in the late afternoon sunshine. Representing different areas of the business, Will, Rich, Neil and Dan accepted the baton just after 4:30pm and were underway after a short wait to get on the road. 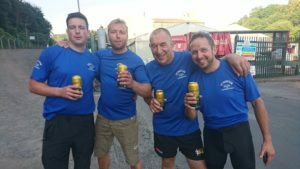 After an entertaining ride and passing the baton on to the next group, the team enjoyed a well-deserved drink. For those wishing to show their support to Team Alvis and the rest of the GAFT cyclists, please donate via justgiving using this link so that the FCN are able to continue their hard work and support. Here at Lye Cross Farm we have rounded out our 2017 season with another 2 Bronze awards, this time for Extra Mature Cheddar and PDO Farmhouse Mature Cheddar. Another great result to finish the year with!